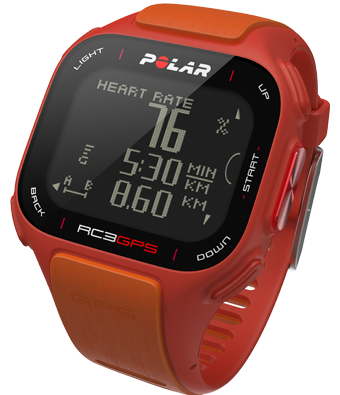 "Polar RC3 GPS shows altitude data it receives from the Global Positioning System (GPS). To show altitude at the beginning of a training session, the monitor needs to be connected to a minimum of 6 satellites. During training, the number of connected satellites can be fewer but if the number goes down to 0, RC3 GPS will again need the minimum of 6 satellites to re-establish altitude." For those who bought the first edition an update is possible....For a Fee!!!! Come on Polar, face your mistake and do it right! Offer the update for free!!! "My RC3 GPS doesn't have altitude. Can I get it upgraded? You can upgrade your RC3 GPS with the altitude feature for a fee. Please contact Polar Central Service in your country for details." Just talked to Polar about same issue. They are now upgrading for free. The GPS navigational framework was initially produced for military purposes; be that as it may, these gadgets are presently being generally utilized for ordinary purposes. Incorporated with cellular telephones and autos, these GPS beacons can be utilized to help you discover your way to a coveted goal or, it can be utilized to screen the each development of items (in shipment) or individuals if these are fitted with a collector. If you get the dashboard error, means the Garmin device dashboard is not working correctly, you can acquire the finest Garmin customer service from our experts via Garmin Phone Number. Have you lost your Quicken Software, contacts and Quicken Software settings? If yes, there is nothing to worry since we are here to help overcome such a problem and work like before. So, you are going through the connection problem with your Malware Bytes account while operating it. If you are unable to understand the steps mentioned there, you are highly suggested to approach the Quicken tech support team. They will definitely give you the right way to get this job done with much ease. What is the procedure of getting a spam Quicken Software back which has been accidently deleted while being busy with some other work activity? Is this question on your board? Thanks for sharing this useful information with us. ..
Hp printer slow working? and if you are looking for hp printer assistant number and hp printer contact number for hp printer technical support just visit its official website and get complete details. Personal locator beacons are the safety net of backcountry travel. They’re simple electronic devices, usually with sealed mechanisms, that are meant to be used a single time.